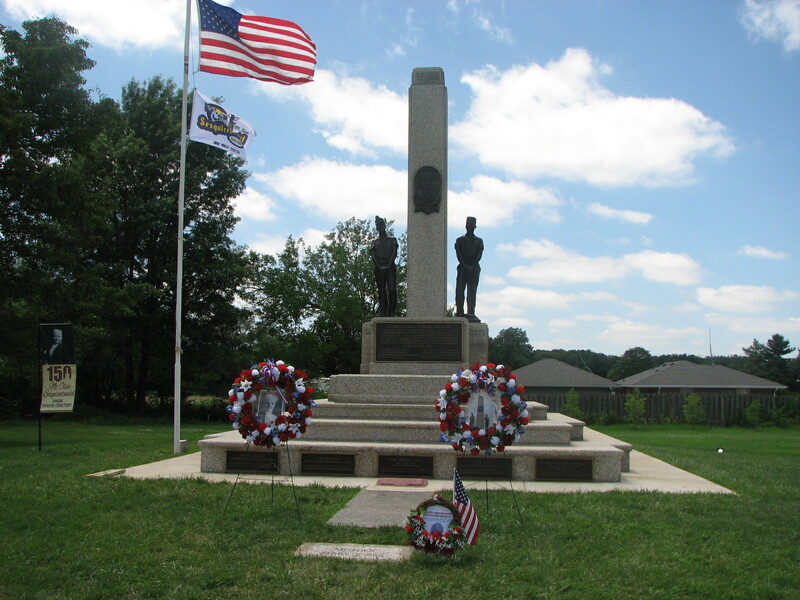 Mother Jones monument at the Union Miners Cemetery in Mount Olive, Illinois, USA. Unique link up between the friends of Mother Jones in Mount Olive, Illinois and the Cork Mother Jones Committee in Shandon. The Cork Mother Jones Committee is pleased to announce that a U.S. trade union member, James Goltz, has been given permission to bring some clay from the grave of Mother Jones at Mount Olive in the Miners Cemetery in Illinois to the forthcoming Spirit of Mother Jones summer school and festival in Shandon where it will be presented to the Committee. 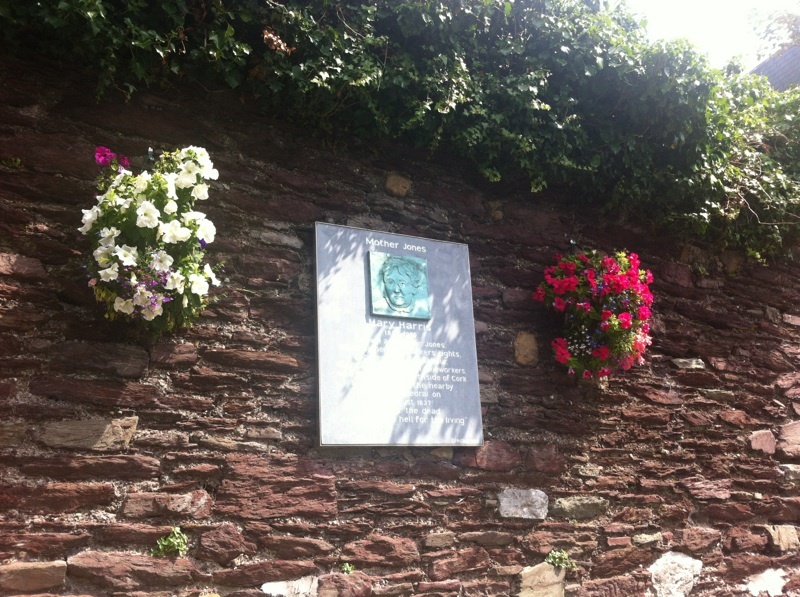 A formal ceremony is to take place on 11th July at the final resting place of Mother Jones (born Mary Harris in Shandon) in Mount Olive at which a small sample of clay will be removed from the grave, will be permanently sealed and will be given to Mr Goltz for transporting to Ireland. 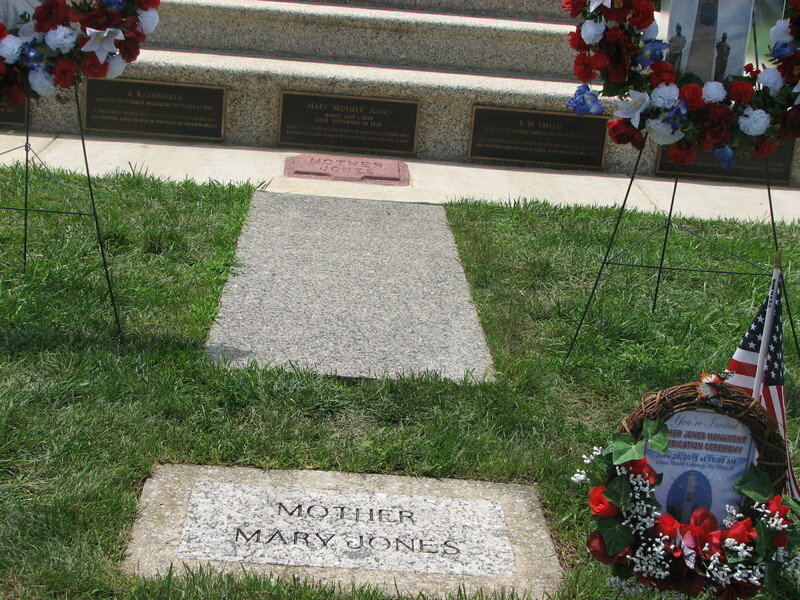 “This is a unique and historic act linking Mother Jones and her birthplace on the north side of Cork to her grave at Mount Olive after some 87 years. (She passed away in 1930) We wish to congratulate the friends of Mother Jones in Illinois for their thoughtfulness with their symbolic act of generosity and solidarity”, declared James Nolan, spokesperson for the Cork Mother Jones Committee. The festival and summer school takes place in the Shandon Historic Quarter from Tuesday 1st to Saturday 5th August next. Please find below the details of the event in Mount Olive on July 11th and the contact details for James Goltz.